"But through all changes so far, the farm had endured. Its cycles of cropping and grazing, thought and work, were articulations of its wish to cohere and to last. The farm, so to speak, desired all of its lives to flourish. 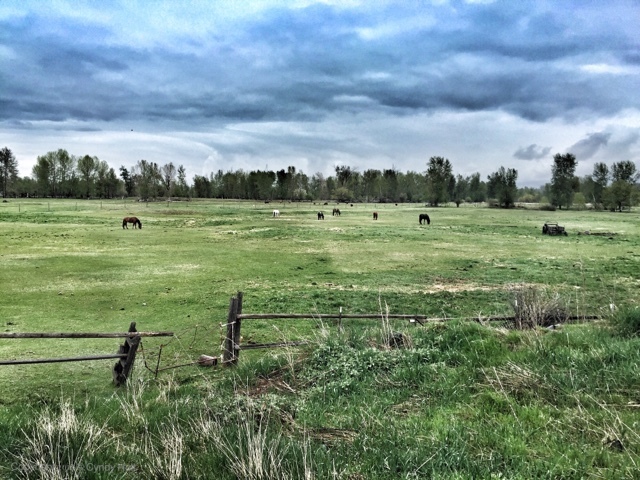 Athey was not exactly, or not only, what is called a "landowner." He was the farm's farmer, but also its creature and belonging. He lived its life, and it lived his; he knew that, of the two lives, his was meant to be the smaller and the shorter." Lovely, Cyndy, both the quote and the photo of our home, I'm sending this link to my siblings. So glad you liked both! I was very happy to find such a fitting Wendell Berry quote that evokes the special quality of your family place.